They are great people, rising leaders on their campus and in the world beyond; and just like generations that have preceded them, these college students are out getting it done, performing the mission as a part of their Coast Guard Auxiliary training and education, and renewing the spirit of service to which “Americas Volunteer Guardians” have been called for more than seventy-one years. I wrote in May of the graduations celebrated by U.S. Coast Guard Auxiliary students at The Citadel and The College of William and Mary. 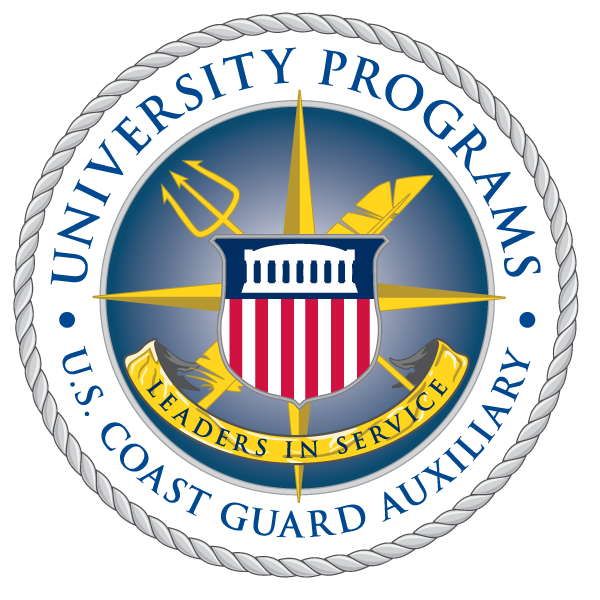 Tomorrow I travel with others from the University Programs Branch to Scottsdale, Arizona for the USCG Auxiliary National Conference (NACON), where we will spend several days promoting these campus based initiatives, and working with partners from across the service to open up new opportunities for these great student leaders. Safety. Security. Marine environmental protection. Humanitarian assistance. Homeland security. Service to others—in our communities, across the nation, and around the world. These are the things that Coast Guard Auxiliarists put first every day, the missions that these uniformed civilian volunteers have tirelessly performed for over seventy years. Our campus-based detachments prepare the best, brightest, and most talented college students for success in service to their community and country—inside and outside of the Coast Guard Auxiliary. A new and unique concept for the Auxiliary, the program has already paid dividends on both the “silver” and “gold” sides. Alex Wright graduated in 2009 from The College of William and Mary, transferred to Flotilla Northern Virginia, and has begun stellar post-graduate Auxiliary service as that unit’s training officer and a small boat crewman. Greg Snow graduated several years ago from The Citadel, completed USCG Officer Candidate School shortly thereafter, and is now stationed as an Ensign on active duty in Puerto Rico. Two stories among the several early successes that graduates have gone on to, I am hopeful that they will become the first of many in a long line of service in the Coast Guard and Coast Guard Auxiliary. We’ll be blogging on my site, www.andrewdwelch.com, and on CGBlog.org (as appropriate) as things unfold at NACON, particularly insofar as our University Programs initiatives are concerned. We have also launched the official University Programs website at www.cgauxedu.us, and on Twitter @cgauxedu. I hope that you will keep up while we are in Arizona, and follow along as we move forward with the new academic semester getting underway this month.